The Adelaide Health Foundation, through the Adelaide School of Nursing, has the responsibility, under the Charter of Tallaght University Hospital, of selecting students for nurse education at the Adelaide School of Nursing. In selecting applicants the Foundation has has regard to the multi-denominational and pluralist character of the hospital. Applicants who put the Adelaide School of Nursing on their CAO list (TR093 ) will be sent a Supplementary Application Form in mid March. Applicants should complete the form carefully and fully. The latest date for receipt of the completed Application Form will be shown on the form. Late applications are not accepted. On the basis of the completed Application Form the Adelaide Health Foundation will create a list of nominees and will advise Trinity College and the Central Applications Office which applicants are eligible for an offer of a place in The Adelaide School of Nursing. Offers of places will be issued by The Central Applications Office based upon the points obtained in the Leaving Certificate or upon performance in the selection procedures in the case of mature applicants. The offer will be based on the expressed preferences of the applicant for particular schools of nursing as far as places are available. IF YOU HAVE NOT RECEIVED AN APPLICATION FORM BY THE WEEK OF 26TH MARCH PLEASE CONTACT THE ADELAIDE HEALTH FOUNDATION OFFICE AT (01) 4142069 / 4142071. How are Students Selected for The Adelaide School of Nursing? In conjunction with the Central Applications Office (CAO), The Adelaide Health Foundation operates selection procedures which result in offers of places in The Adelaide School of Nursing each year. The applicant indicates a preference for The Adelaide School of Nursing (Courses TR093 ) on their CAO Application Form. The Application Form is for completion and return to the Foundation by a specified date. The completed Application Form is used to assess the applicant in respect of the qualities required by student nurses and gives the applicant the opportunity to state their reasons for applying to The Adelaide School of Nursing. Offers will be made by the CAO on this basis for those nominated by the Adelaide Health Foundation for The Adelaide School of Nursing. 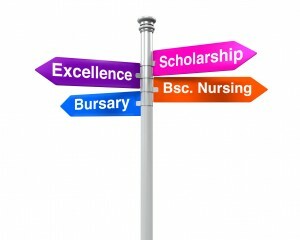 Please Note: Applicants who are not deemed eligible for nomination to The Adelaide School of Nursing by the Foundation are considered by the CAO for offers to other Schools of Nursing on the same basis as all other candidates. The above is for your guidance only and you are strongly advised to study information provided by the University on all admission / matriculation requirements including course specific requirements. Community and Health Services (5M4468). Anatomy and Physiology (5N0749 / D20001). Nursing Theory and Practice (5N4325). Human Growth and Development (5N1279) or Biology (5N2746). You should be aware that while you may meet the eligibility requirements, there is no guarantee that you will be offered a place. Due to a very small number of places available, a random selection system is operated by the CAO.